Do you find yourself staring out the window, longing for an early sunrise, hot days and late evenings? With spring just around the corner, it might feel like summer is a lifetime away. However, the good news is that you can be productive around the home while you wait for summer to arrive. Let’s take a quick look at three easy do-it-yourself projects that will keep you busy until the summer sun is shining. As long as you are willing to do the prep work, painting is one of the most straightforward home improvement projects you can undertake. It is also the best way to put your own personal touch in each room in your home. If you haven’t painted before, it is best to start with a single room. Spend an hour or two watching instructional videos on YouTube before you head out and begin buying supplies. 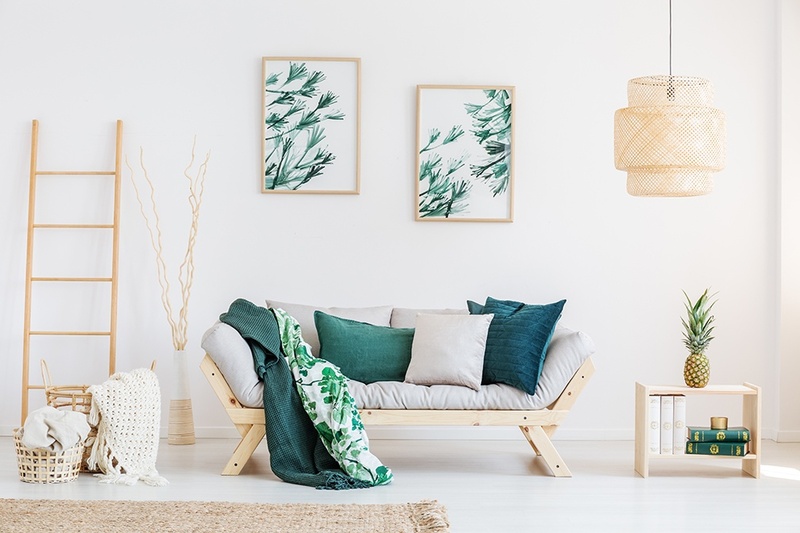 The colors that you choose are up to you, but if you are going for a ‘spring’ look, consider pastel colors including soft greens, powder blues and creamy whites. If you have a flower or vegetable garden, building new planters is a fun weekend DIY project. You can make planters out of wood, but a more durable option is to use granite, marble or another hard stone. Simply buy four slabs of stone and a tube or two of stone adhesive. Line up the slabs together and, using a ruler, ensure they are at 90-degree angles. Caulk or glue the slabs on the inside of where they meet and then tape them together on the outside to hold them until the glue cures. Do you enjoy the sound of birds around your home? If so, bird seed rings are the perfect treat to attract them. Creating these delicious treats is easy. Combine gelatin, corn syrup and flour into a thick paste. Mix this paste with a bag of bird seed, ensuring that it is fully combined. Then mold the rings together using a donut pan. Hang these tasty treats outside for your feathered friends to enjoy. Investing your time in home improvement projects is an excellent way to wait out the sunny days of summer. If you decide that it’s too much work to renovate and that you would rather explore a new home, give us a call. Our friendly real estate team is happy to help you get ready for your next purchase.